New for 2018 Dolphin Oasis Z5i Robotic Pool Cleaner with Bluetooth. 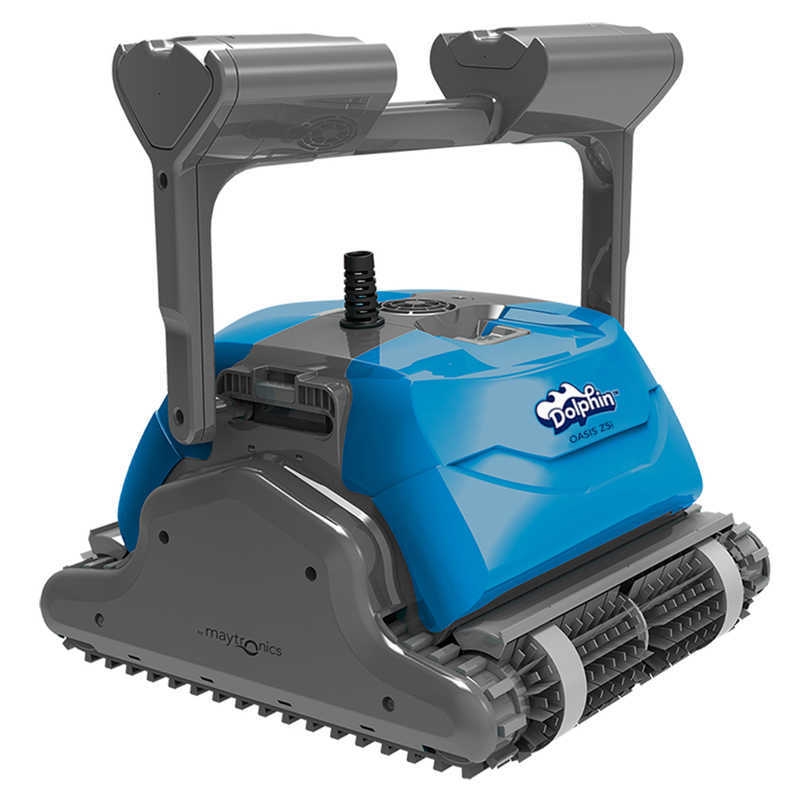 The Oasis Z5i is the workhorse of the Dolphin line, built on the the most relilable platform in robotic pool cleaner history. Also new for 2018 is the even more advanced IntelliScan gyro diagnostics, for complete pool coverage.The Dolphin Oasis Z5i Robotic Pool Cleaner will scrub and vacuum all pool surfaces, floors, walls, and coves. Split brushes in front and back work in tandem with dual drive motors, allowing the Z5i to pivot like a tank - turning on a dime -instead of having to make long aching turns, or pop wheelies. The Oasis Z5i robotic cleaner has double filter cartridges that are top access. Out of the box you get two sets of filters - one coarse and one ultra-fine.